Skillet: Noun. An attempted air brush where the disc skips or bounces off the hand, out of control, similar to how the disc would react if it where slapped with a skillet or frying pan. Used as a taunt or heckle after a failed air brush attempt. Seal: verb A satisfying catch at the end of a series of freestyle frisbee moves. Turbo: adj. A Frisbee Freestyler with endless amounts of energy for the jam. Usually the first one to the jam and the last one off the field. Also describes freestyle movements or style of play were a powerful, forceful, or explosive effort is exerted. James Wiseman Catches a Gitis. Hein: adj. (pronounced HAYN): A freestyler, routine, or move that excels beyond expectations. Outstanding, excellent, awesome, or admirable freestyle frisbee play. Although hein is derived from the word heinous (meaning horrific), it is used to describe very positive attributes. Hein is more than just a descriptor, it is a state of being. As with many disciplines, freestylers constantly strive to reach the next eschalon or level. One may be hein in their own state of progress or one can be hein when their unique freestyle creations inspire and awe others. In effect, as freestylers practice, jam, and compete they are striving to be hein. 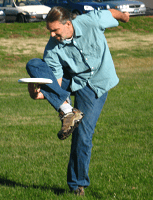 *Heinsville: a place to learn and develop freestyle disc (e.g., the place to be Hein). Crusty: Adjective. Descripter indicating the age of a particular freestyle disc move or particular freestyle disc player (jammer). Typically suggesting that the move or person is of a particular vintage or age. Ex. “Wow! Check out the crusty move from the 1970s!” or “Those guys over there are the original jamming kings, and they look great even if they’re crusty. Twisted Turkey: noun. 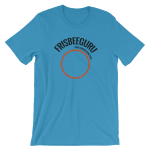 A restricted move, often a catch in Freestyle Frisbee where the arm wraps around the inside leg on the same side. Can be either right arm wrapping around right leg or left arm wrapping around left leg. Ex. “Check out that Twisted Turkey delay!” See also: Figure Four, Perch, Pretzel, or Grape Vine. Slick: noun. A substance applied, usually by spray, to one’s Frisbee to reduce the friction between the Frisbee and one’s finger nail. 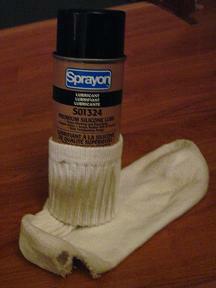 Usually a silicon based spray. Ex. I have a disc, do you have any slick? Slick rag: noun. The nastiest old rag from the back of the closet, usually a sock, used to rub slick into the disc. Ex. Shoot, I forgot my slick rag again. See the equipment article for recommendations. Spaunch: 1: verb. To play freestyle frisbee below one’s usual ability. Ex. I was spaunching all day. Condo’d: adj. Any nail where the dried Krazy glue is taller than the nail. Ex. How can you jam with those condo’d nails? See also: Stacker.